Alliance Equities Limited (and associated entities) is the main investment vehicle for the Bhatnagar Family of Auckland, New Zealand. Alliance Equities Limited is focused mostly on venture capital with early-stage high growth firms that are seeking to raise capital for commercialisation and fast growth. We welcome contact from businesses seeking capital for commercialising their high growth opportunity. They love companies with recurring revenue, quality management, a scalable product that solves a problem, and a team that focuses on sales and customer service. Alliance Equities looks to add value through supporting businesses with their investor networks, by building positive public and investor relations, and advising companies on governance, capital requirements and other strategic needs. If you think your business could be the next to prosper and grow with an investment from Alliance Equities, please don't hesitate to contact us here. You can also view Aaron Bhatnagar’s interview with Unfiltered, which gives entrepreneurs significant insight into Aaron and Alliance Equities’ investment approach. In 1980, the Bhatnagar family immigrated to New Zealand from Canada. Roger (Rajeshwar) Bhatnagar started a small electronics retail business called Sound Plus which grew over the decade. In 1991, Roger bought the Noel Leeming electronics retail chain from the receivers of Smith City Group, and after turning the business around, floated Noel Leeming Limited on the NZX in 1993. Under Roger's leadership, Noel Leeming Ltd experienced considerable growth. In 1995, the business was merged with competitor Bond and Bond Ltd to create "Pacific Retail Group", which was New Zealand's largest electronics retail business. Other group businesses included Pacific Retail Finance and Computer City. Roger was knighted by the NZ Government for services to business and charities in 1998. 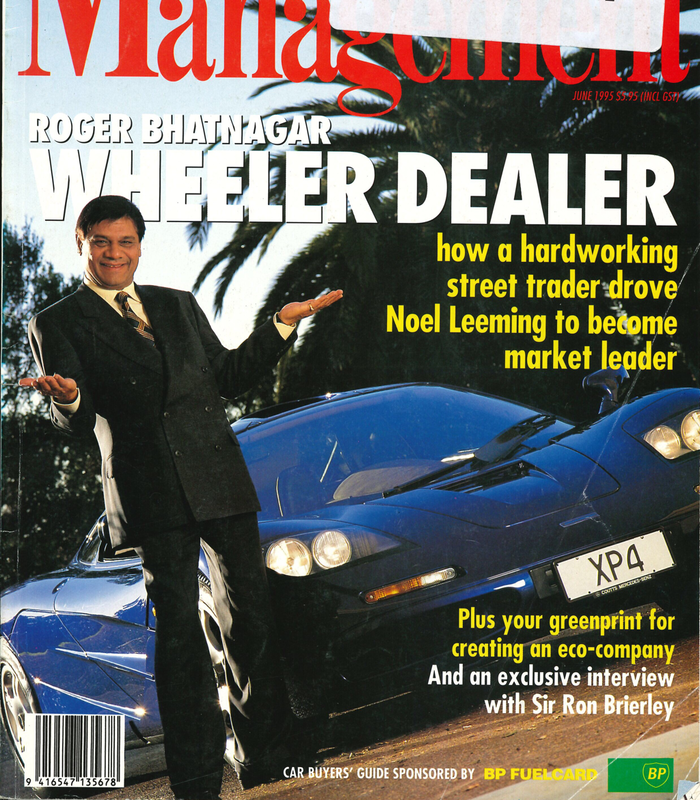 Sir Roger Bhatnagar's interests in Noel Leeming were bought out in 2000, and he became a passive investor focused on commercial property. He has been retired from all business since 2007. You can read more about Sir Roger Bhatnagar's cricket memorabilia collection here. Since 2011, Sir Roger's son, Aaron Bhatnagar, and Aaron's brother-in-law Blair Wolfgram have actively driven the Bhatnagar family's wealth management through listed equities, commercial property investment and venture capital. They formed Alliance Equities Limited (and its associated companies) in 2013 to pursue a number of venture capital opportunities. Chief among their investments was their strategic stake in Pushpay Holdings Limited, now listed on the NZX since August 2014 (mostly exited March 2018). Click on an image below to visit one of the V.C. investments by the Alliance Equities group.